As we previously reported, the compliance date for OSHA’s new electronic reporting rule for submission of the 300A forms was delayed until December 15, 2017. 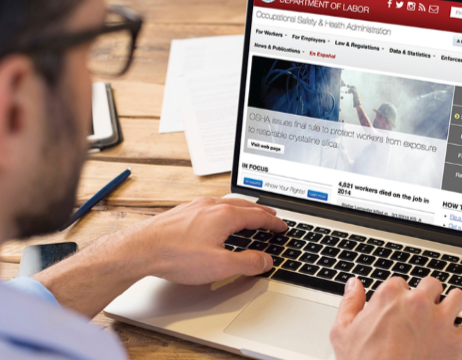 OSHA recently announced that over 214,000 300A forms were submitted electronically prior to closing the portal. However, this was significantly less than the 350,000 submissions that OSHA was expecting. On February 21, 2018, therefore, OSHA issued an enforcement memorandum to Regional Administrators outlining the policy for dealing with non-complying employers. Now, as part of any on-site inspection, OSHA compliance officers will investigate whether that establishment has electronically filed its 300A forms. If the compliance officer determines that the establishment failed to meet the requirements of the electronic reporting rule, then an “Other Than Serious” citation will be issued. In addition, OSHA stated that it will send a mass mailing outreach to non-complying employers to inform them of their obligation under the regulation. The agency has until June 15, 2018 to issue citations to those employers that failed to electronically file the 300A form for 2016. For more information regarding the electronic recording rule requirements, view our free 30 minute webinar here.